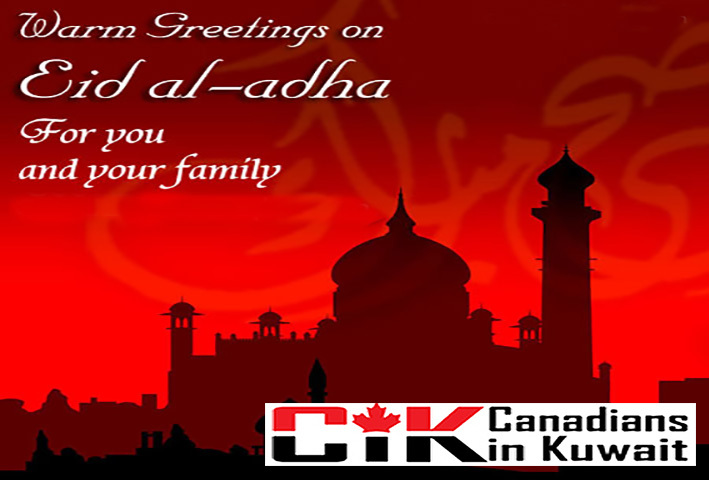 CiK's first Newsletter is available online. Please click the link below to read and give your feedback. CiK is once again organizing a week-end Boat Cruise on Friday, 27th April 2018. Boat will leave from Salmiya (Sultan Center Restaurants Parking) at 4 pm. We will be cruising on the coast line from Salmiya to Kuwait Towers and return by 8.30pm. 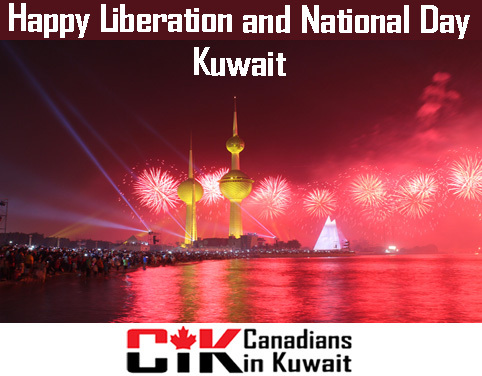 We will observe the sunset and beautiful view of Kuwait from the sea. Buffet dinner will be served on board & We have limited seats, grab yours now to avoid disappointment. Tickets are being sold at Weekly CiK Friday Breakfast from 9.00 am till 10.30 am at Movenpick Hotel - Al Bida'a (Salmiya). For Tickets You can also Call 55562796 (Kuwait City). Note: If the trip is postponed due to rough sea or bad weather, it will be rescheduled to next weekend (Thursday, Friday or Saturday) depending on the availability of the Boat. CiK along with its friendly Club BLS is organizing a week-end Boat Cruise on Friday, 9th February 2018. Boat will leave from Salmiya (Sultan Center Restaurants Parking) at 4 pm. We will be cruising on the coast line from Salmiya to Kuwait Towers and return by 10 pm. 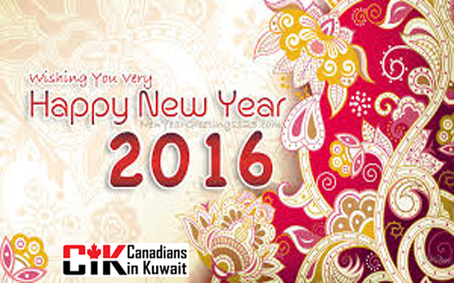 We will observe the sunset and beautiful view of Kuwait from the sea. CiK will celebrate Christmas with Gala Dinner on Friday 2nd December, 2016. This event will be held at Al Dana Ballroom of Holiday Inn - Salmiya at 7 pm. Christmas will be celebrated with awesome buffet dinner. There will also be lot of other enjoyments and fun. Mark on your calendar for this CiK major event. The price of the Entry Pass will be Member – KD.12/- and Guest KD.14/-. CiK’s most popular weekly event Friday Breakfast will move to Movenpick Hotel & Resort – Al Bida'a, Salmiya, Kuwait, starting from Friday, 22nd July 2016. This has turned out to be a popular venue in past. It is a beautiful location on the beach, the breakfast will be served at Beldani Restaurant. Enjoy the pleasant Environment and hospitality of Movenpick. 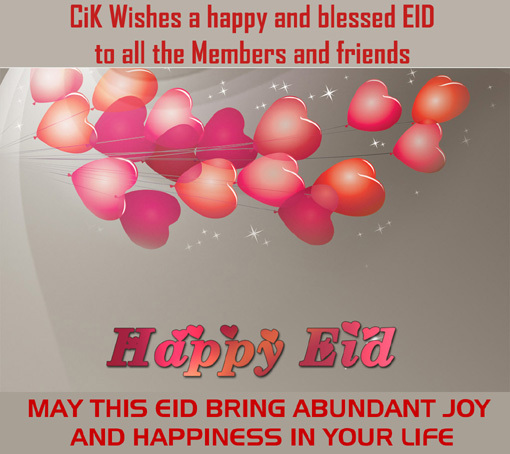 The breakfast commences at 8.30 am until 10:30 am, for CiK members the price is KD.6 per member. For direction please visit website: http://www.moevenpick-hotels.com/en/middle-east/kuwait/salmiya/hotel-kuwait-al-bidaa/overview/. CiK’s most popular weekly event Friday Breakfast will move to Movenpick Hotel & Resort – Al Beda'a on Gulf Road, starting from Friday, 20th November 2015. This has turned out to be a popular venue in past. It is a beautiful location on the beach, the breakfast will be served at Beldani Restaurant. The breakfast commences at 8.30 am until 10:30 am, for CiK members the price is KD.6 per member. CiK will celebrate Christmas with Gala Dinner on Friday 11th December, 2015. This event will be held at prestigious Hotel Crowne Plaza – Farwaniya – Kuwait from 7.00pm. Christmas will be celebrated with awesome buffet dinner. There will also be lot of other enjoyments and fun. The price of the Ticket is Member – KD.12/- and Guest KD.14/-. Purchase your tickets early, so that you can a get a better table. Tickets are selling fast, we have already sold 3 Tables in front. Each table has 10 Chairs, you may buy a full table and allot the chairs to your friends.Don’t Miss this event where we are putting utmost efforts to make it a memorable. Note: There will not be any ticket sale at the door. 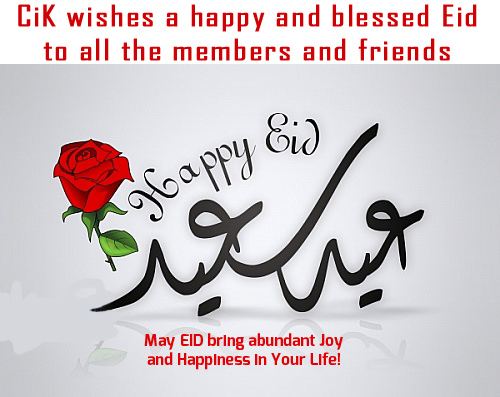 CiK's first Newsletter is available online. It has articles from Members, Pictures and interesting contributions. Please click the link below to read and give your feedback to xdigital@hotmail.comand the link is also available on www.cikq8.com. Please set aside the Fourth Friday of this October as CiK announces this year Thanksgiving Dinner with great joy and Thankfulness which will be held on Friday 23rd October. This year also we will celebrate at Safir Hotel - Fintas. The Event will kick off at 7.00 pm. We want to make this a really cool event for all, where we indulge in fun, food, DJ, lots of Cheer and surprises. We aim to do our best to create this an enjoyable event. Tickets are on Sale (Member KD.12/- and Guest KD.14/-). You can purchase your ticket at Embassy Night (15th September) or at any Friday Breakfast. 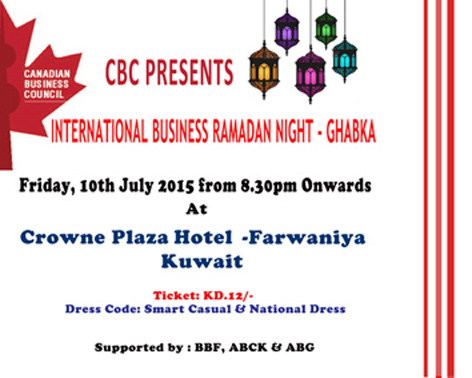 CiK is happy to announce that, Canadian Business Council – CBC is hosting an INTERNATIONAL BUSINESS RAMADAN NIGHT - GHABKA which is scheduled on Friday, 10th July 2015 at 8:30 pm onward at Crowne Plaza Hotel - Farwaniya. This event is supported by British Business Forum, American Business Council Kuwait and Australian Business Group. Ticket price of this GHABKA is KD 12. To purchase your ticket please contact: CBC: Ms. Angie (Kuwait City) - Cell: 55562796. CBC hopes that this event will bring together different business groups, also it will give an opportunity to attendees to widen their business contacts and introduce to other business groups and individuals. CiK requests its members to attend this event in large numbers and support its sister organization and make this event a grand success. 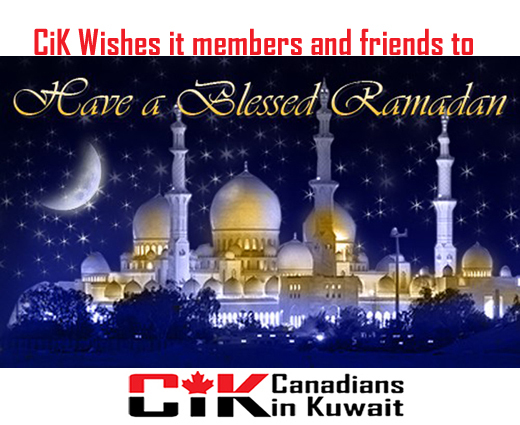 CiK Events and Activities will continue after the Summer and Ramadan Break. Therefore there will not be Friday Breakfast Tomorrow. 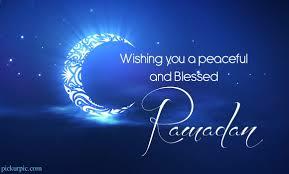 We will announce the commencement of activities after the month of Ramadan.